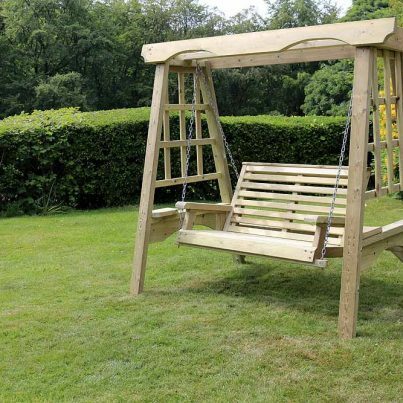 Swing your troubles away on this hammock made for two. 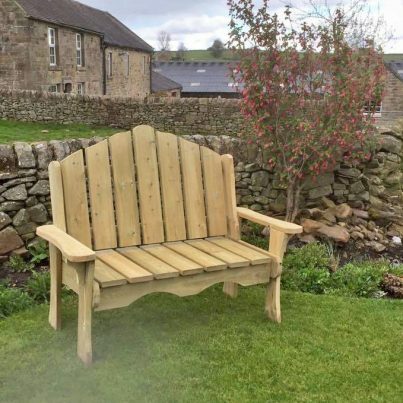 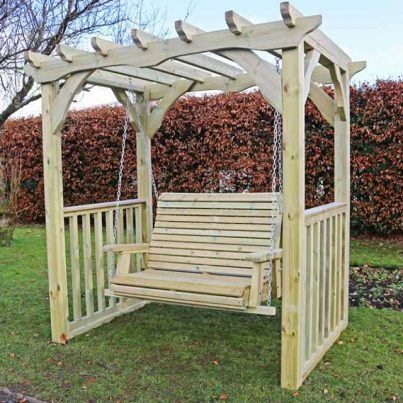 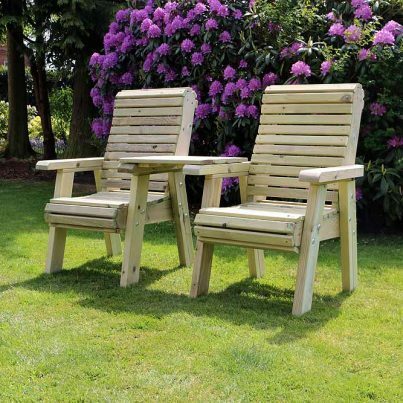 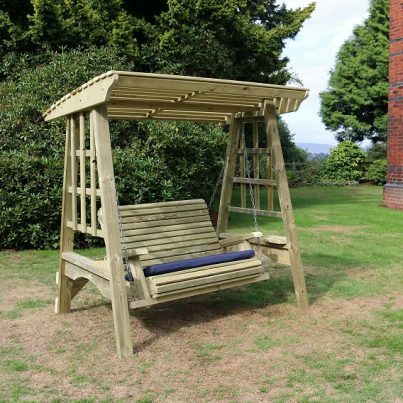 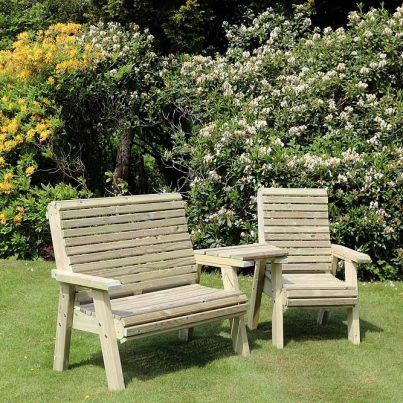 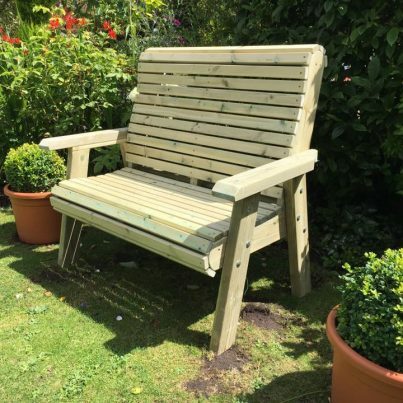 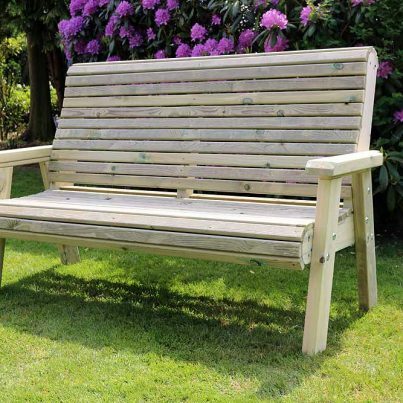 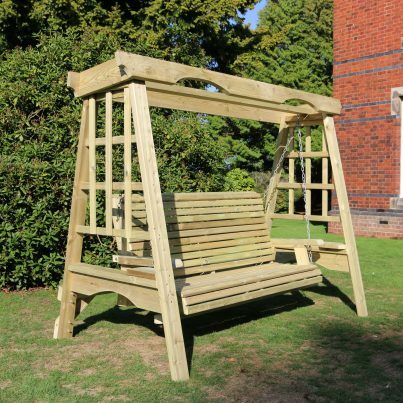 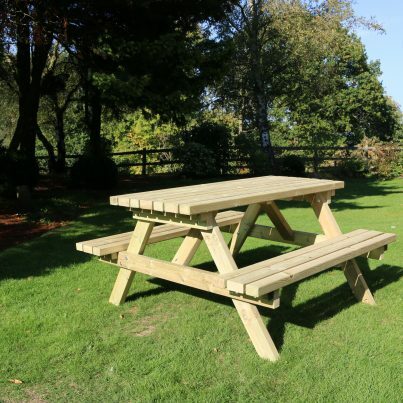 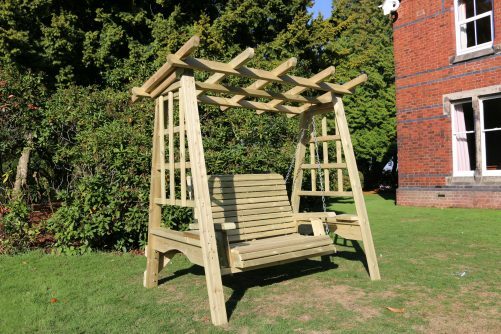 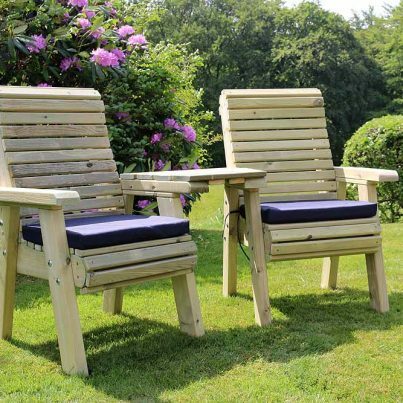 Designed around our best selling and superbly comfortable two seat bench, this lovely garden swing has been designed to offer you a chance to really relax in your garden. 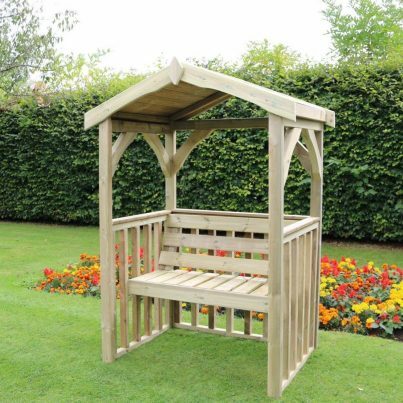 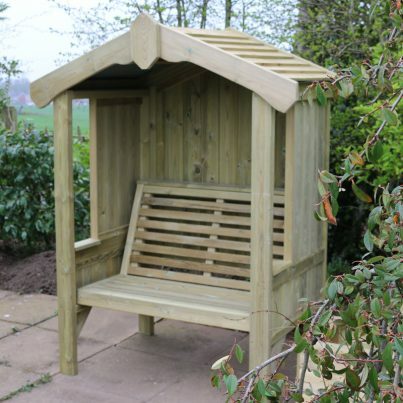 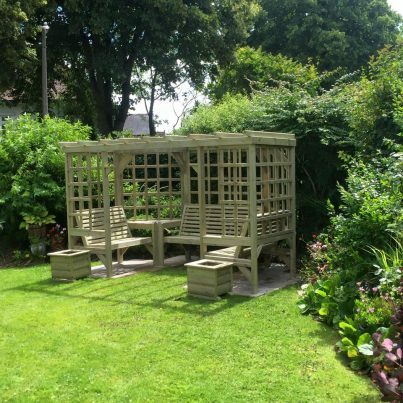 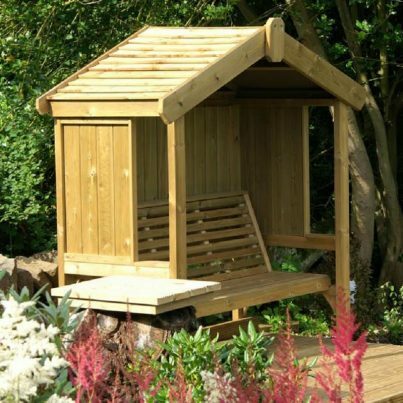 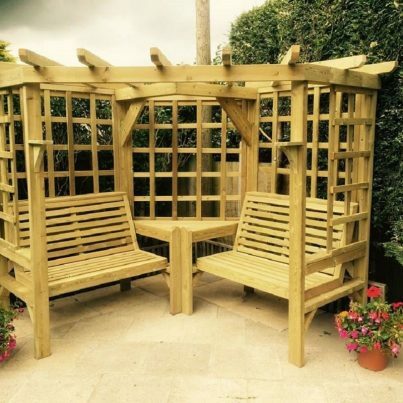 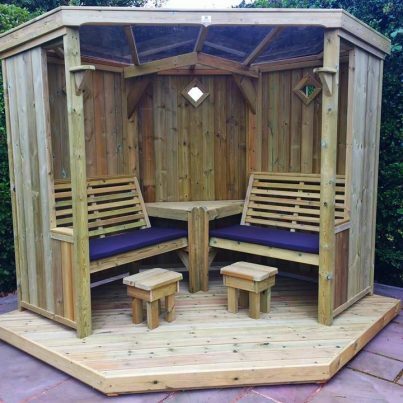 Handsome traditional lines, an airy open pergola style top to let the sunshine through, and all hand crafted in smooth grained Scandinavian Redwood.